Welcome to the Siouxland Families Blog! 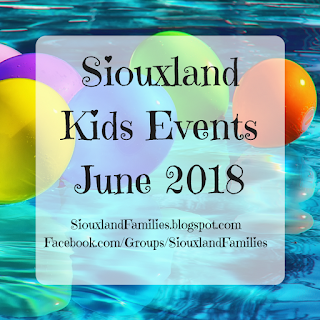 The Siouxland Families Blog is dedicated to connecting Sioux City area families to local fun. If you are a parent, grandparent, babysitter, nanny, or other caregiver of children in the Siouxland area, I want this to be your place to find out about fun events and activities to enjoy with the kids in your life. 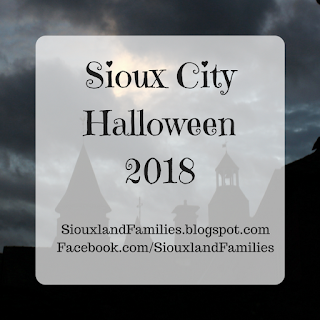 If you hear about a family friendly event or activity in Sioux City, Iowa; South Sioux City, Nebraska; North Sioux City, South Dakota, or surrounding communities in Northwest Iowa, Southeast South Dakota, or Northwestern Nebraska, please let me know by leaving a comment on this page, by sending me an e-mail, or by leaving a comment in the Siouxland Family Friendly Events Facebook Group. I also love blogging about family friendly food, and about places that make great vacations for Siouxland area families. I believe Siouxland is a great place to live and raise kids and I'm so excited to share that with you all! Thanks for stopping by! The Siouxland Families Blog is written by Lindsay Hindman, a Sioux City mom of three who studied mass communication at Morningside and fell in love with a local boy while she did. When she's not writing, Lindsay loves hiking, doing crafts with her kids, and baking. You can reach Lindsay by e-mail at SiouxlandFamiliesBlog@gmail.com. All photos are used with specific permission and/or obtained and used according to terms of service of the "Over" iOS app, Canva, or Flickr Creative Commons. If, however, a photo you have taken or you are in has been used and you'd like it removed for any reason, please let us know and we will remove it immediately. 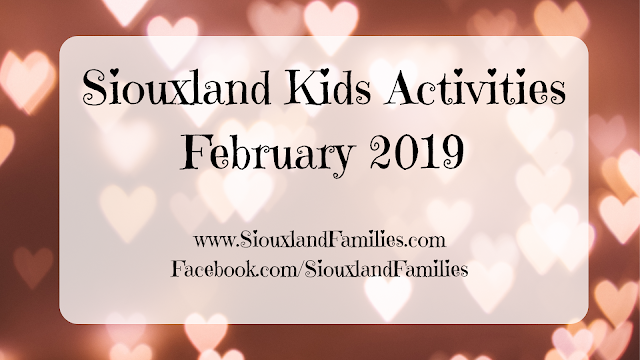 Great idea to make this for parents and grandparents to be able to quickly look up all the fun children's events in Siouxland on one website! Thank you from a Grama!